When you’re the leading machine tool brand in the world, expectations are always high. 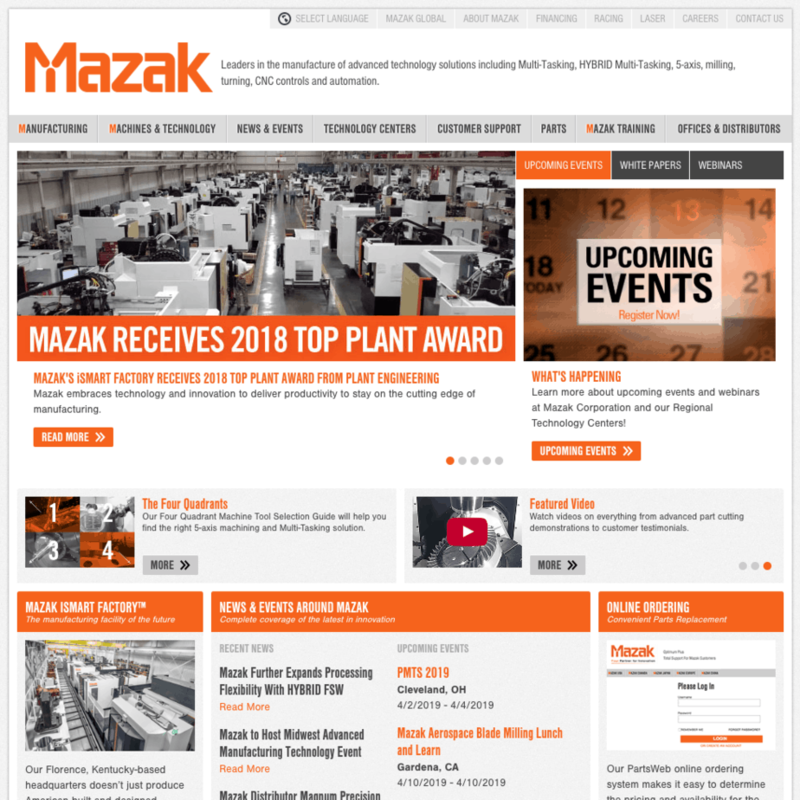 Mazak’s website is no exception. 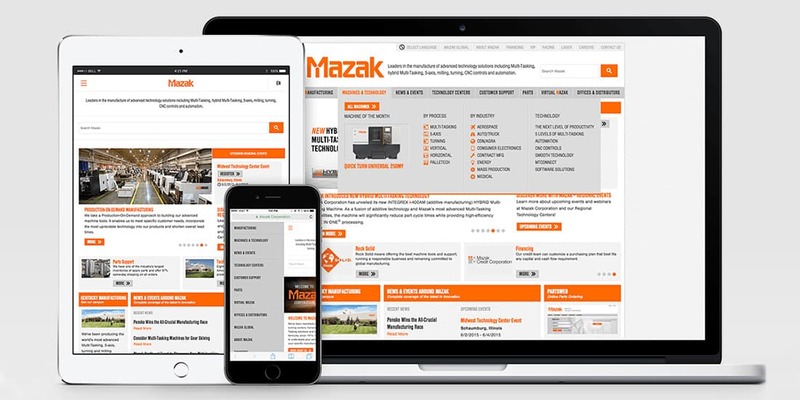 Early on in dgs’ relationship with Mazak Corporation, we recognized customers’ evolving needs with respect to information access, research habits and purchasing behavior, as well as the market’s changing demands and technological opportunities when it comes to a digital presence. Armed with solid research, time-tested experience and best practice, dgs took on the challenge of reinventing the MazakUSA.com website in 1Q 2013. Expectations were high and the timeline was aggressive, with the target completion date ahead of the inaugural DISCOVER 2013 private technology event held in Kentucky in October. After detailed planning, which included considering objectives, target audiences, features and functionality, dgs developed a design and structure for the site, processes for asset collection and content development, review and testing. Once planning was complete, the team moved into a rigorous schedule of writing, development, proofing and testing. The new site was launched in English, French and Spanish languages ahead of schedule and within budget in August 2013. 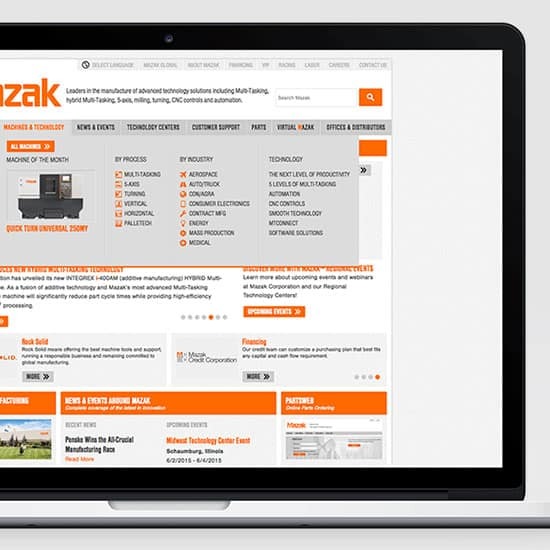 Engineered from the ground up to provide an unmatched user experience and powered by a custom content management system (CMS), MazakUSA.com features unprecedented amounts of company, product and applications information, as well as unique functionality and highly interactive tools for manufacturers. Among the many new advanced features, the site includes massive amounts of product and specification information optimized with unique comparative analysis tools that allow manufacturers to evaluate and make decisions about the best machines for their specific needs. The site also offers direct access to support resources, including online parts ordering and online registration for all training and education activities. New sharing tools allow users to easily interact in social media environments. News, videos, webinars and downloads are available on-demand. A virtual tour of the campus gives users a first-hand look at Mazak. The site also features a powerful new search tool that comprehensively scans all site content and categorizes results into three categories, making it easy for users to locate and identify information of interest to them. The results of the new site speak for themselves. Traffic, both new and recurring, and engagement immediately increased and has been sustained since launch. Bounce rates decreased dramatically. In fact, the new North American site was so well received that it was subsequently adopted as the global model.